Car Light Family Minneapolis | Learning about interdependence, intention and slowing down. . .as a family. Learning about interdependence, intention and slowing down. . .as a family. We live in Minneapolis, just off the 4 bus, near downtown. 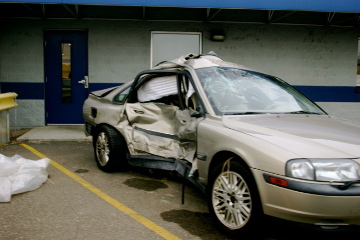 We became car-free when a now-convicted young man jumped into a illegally running car and plowed it into our S80 Volvo. Luckily, Big Strong Dancer Papa was solo in the car, because the front end and the driver’s seat were the only parts not crushed. Not so lucky for him, chiropractor care continues. After a few weeks of Insurance Theater, we got a check that wouldn’t allow us to replace the car we had, which was our dream car. That’s how we became car-free. Thanks for sharing in our adventures. Due to serious health issues, we are no longer car free. We are still a one car family. FUEL is an insightful documentary concerning one man’s struggle with America’s dependence on oil and our nation’s alternatives. The FUEL team is excited to be presenting the GREAT GREEN BLOG CHALLENGE. In order to spread the word about the best green blogs and about environmentalism in general we will be asking for nominations for the hippest and most informative eco friendly blogs, which we will then feature on our website. On July 30 we will ask our friends and followers to vote on their favorites and the winners and runner-ups will receive tickets to the nation-wide premiere of FUEL in September. We would like to invite you to participate in the contest by asking your readers to email FUELthefilm@gmail.com and telling us that you are a GREAT GREEN BLOG. Complete details about the contest can be found at http://thefuelfilm.com/great-green-blog-challenge. Keep Visiting -- And Comment! It makes my day. No longer one of the cool kids. . . So are the Archives Interesting? Car Heavy Mama gets a new blog! Blogs by or about Women I Love! A Reverse Osmosis, Artesian Water Filter (no more biking up the hill with 5 gallons) Dancer Husband and The Big One Installed this. It is DIVINE! Coming Soon – Photos of all the bikes!